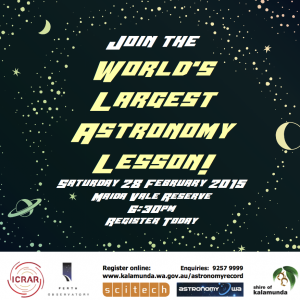 The World’s Largest Astronomy Lesson on Saturday 28 February 2015 from 6:30pm – 9:30pm at the Maida Vale Reserve. 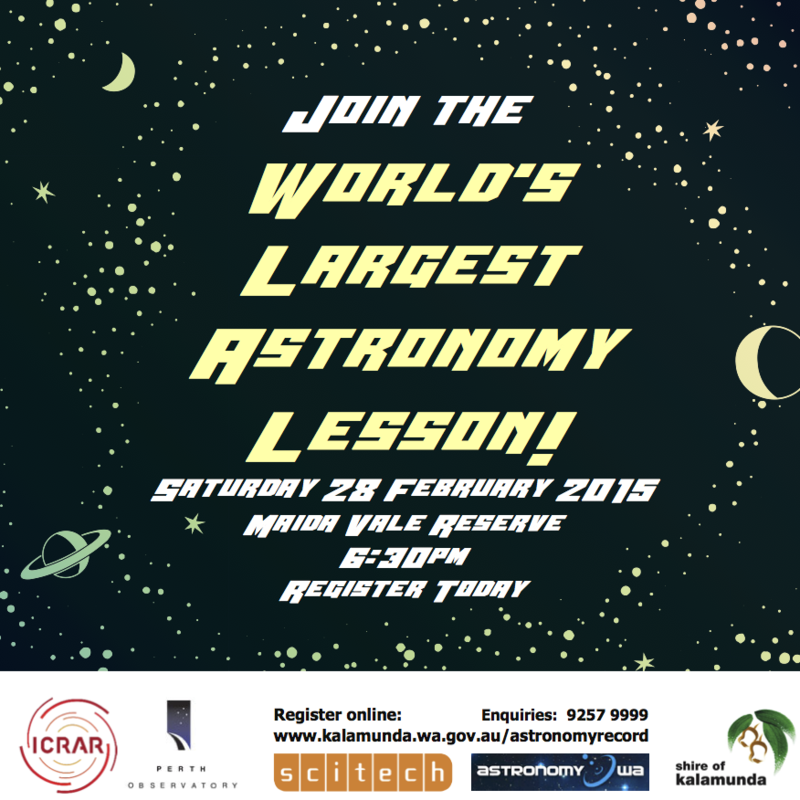 The Shire of Kalamunda in partnership with International Centre for Radio Astronomy Research (ICRAR), Astronomy WA, the Perth Observatory and Scitech is hosting an official attempt at the World’s Largest Astronomy Lesson on Saturday 28 February 2015 from 6:30pm – 9:30pm at the Maida Vale Reserve. Participants will need to bring their own telescope or binoculars and actively participate in the astronomy lesson for 30 minutes. All members of the community, young and old, are invited to register – all you need is a desire to take part! Register before Monday 16 February 2015 to help break a world record.